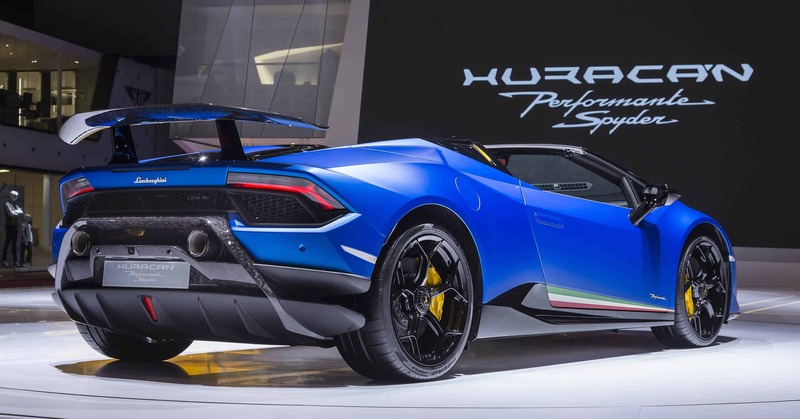 “The Huracán Performante has decided to lower its roof and transform itself into the Spyder with the highest performance that the Huracán family has ever seen. Its lines are designed to thrill at first sight and its state-of-the-art technology has been developed to provide a one-of-a-kind driving experience. 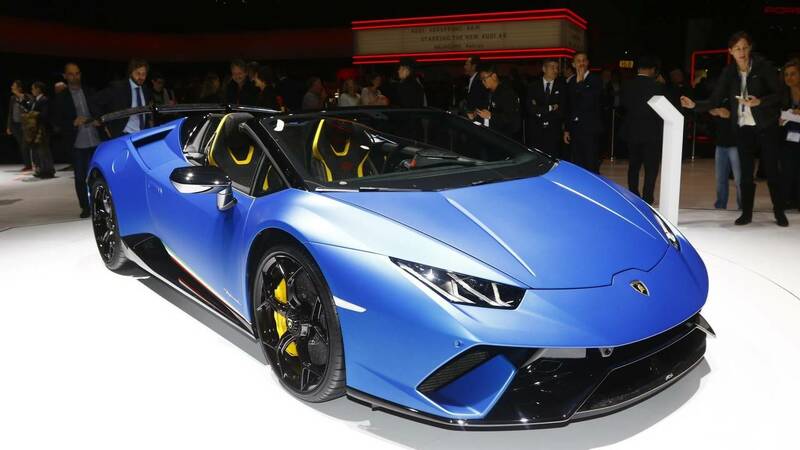 Weighing in at 35 kg less than the Huracán 4WD Spyder and with 30 HP more, this newest addition to the House of the Raging Bull vaunts the best power-to-weight ratio in the Huracán Spyder range. It uses Forged Composites® material and the new ALA (Lamborghini Active Aerodynamics) technology. The Huracán Performante Spyder: power has become breathtakingly beautiful. ” said the company on its official website. 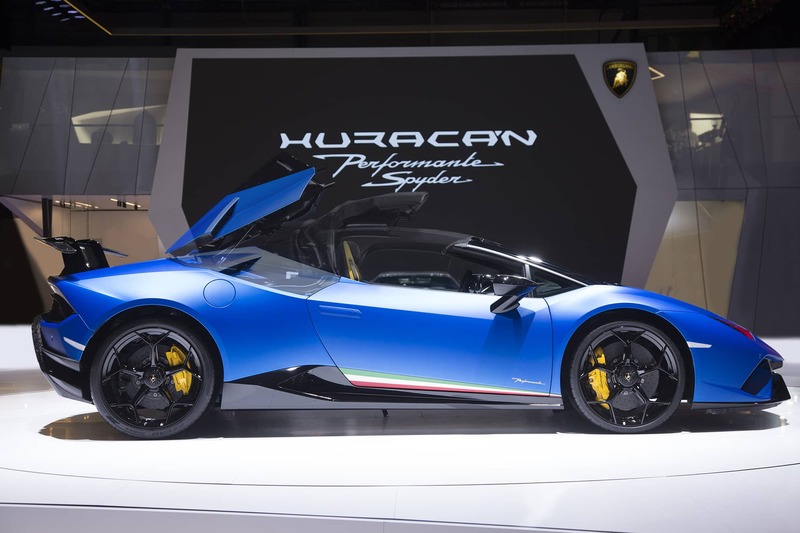 So, the Huracán Performante Spyder will give you new special thrills: beauty is combined with power and performance. It has a V10 engine, “completely updated and redesigned, with fluid-dynamics optimized at both intake and exhaust, this engine is the aspirated V10 with the highest specific power. The new intake ducts come directly from Lamborghini Motorsport’s experience and improve response at all speeds. The double clutch transmission (LDF) has been further perfected and now is able to support even the highest performance. 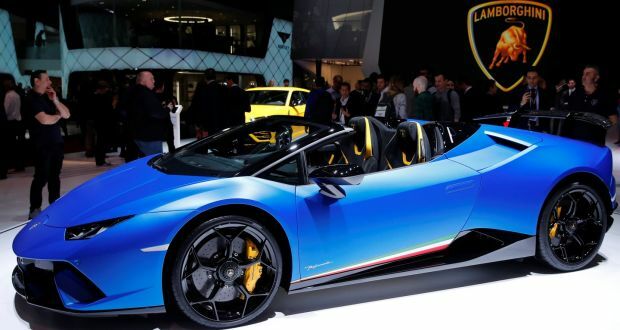 All of this is captured by the even more vibrant and thrilling sound of the new lightened exhaust system.” said Automobili Lamborghini on its official webiste. With 640 hp, a maximum speed of 325 km/h and it goes from 0 to 100 km/h in 3.1 seconds. Its exterior design and aereodynamics are developed with passion and care. However, passion and care were used also for the interior of the vehicle: where you will find elegance and maximum comfort. Thanks to the driving-mode selector ANIMA ( Adaptive Network Intelligence Management) it is possible to satisfy every driving need in any conditions. Furthermore, there is the ALA (Aerodinamica Lamborghini Attiva) which is an intelligent system that manages aerodynamics, in fact, it can promote stability and reduces aerodynamics resistence in order to reach top speed.